There will NOT be a boys cross zone soccer game tomorrow, March 23rd. Girls Soccer will be playing a cross zone game on Friday, March 23rd. Girls vs Veterans Memorial @ Cabaniss Soccer Field 8:00pm This game will determine seeding for playoffs. Good luck Ladycats! 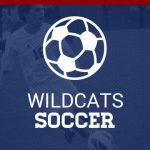 Both the Ladycats and Wildcats host Victoria East tonight. Come on out and support our soccer players at Ray Akins Wildcat Stadium.